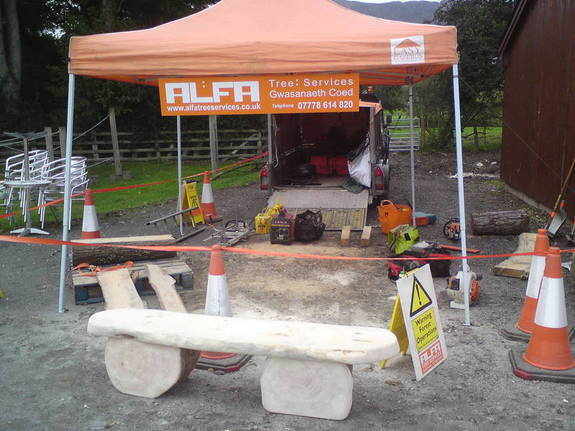 Alfa Tree Services supported Dolwyddelan community at the recent Community Fun Day & Car Boot Sale. The event was held on the school playing fields and was organised to raise funds for the new swings at the children's play park. Alfa Tree Services set up a demonstration stand for people to come and watch the Alaskan Mill in operation. Through out the day the mill was in action along with sanding equipment to produce a magnificent rustic bench, which generated allot of positive interest from on lookers. The bench forms part of on going works for the school.